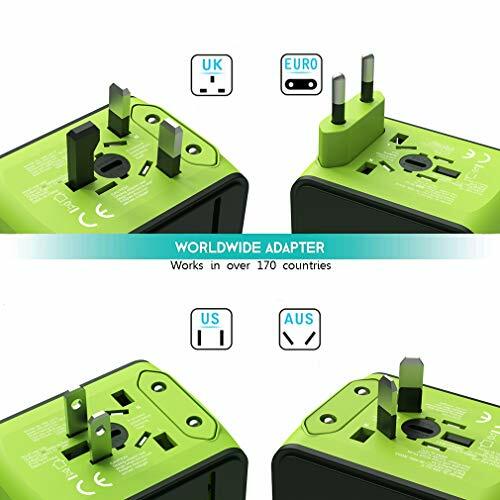 ✈ [Universal Compatibility Travel Adapter]: 1500W Worldwide Travel Adapter, our world travel adapter has 4 kinds of international plugs for USA, EU, UK and Australia. It can work in more than 170 countries including US, UK, France, Italy, Europe, Australia, China, Japan, etc. 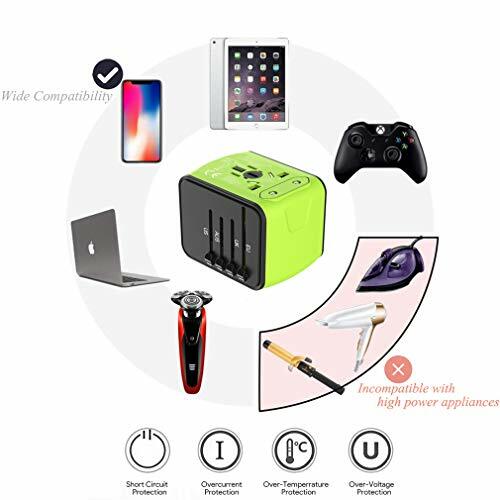 Small and Portable, it is your best travel partner. 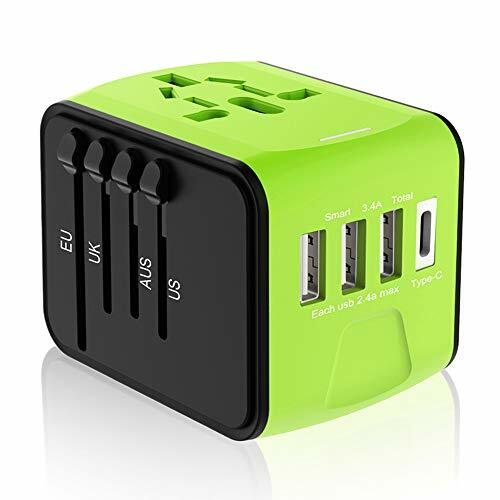 ✈ [3 USB + 1 USB-C]: All-in-one world travel adapter consists of 1 USB Type-C port & 3 USB ports & 4 Plugs & AC outlet. 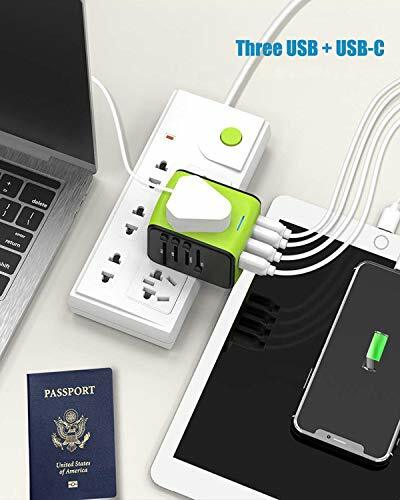 This travel power plug adapter can charge iPad, iPhone, Android cellphone, smartphone, Laptop, tablet, etc. 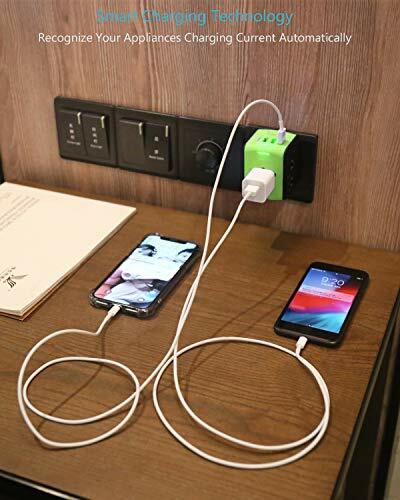 Multiple USB wall charger design is suitable to share with friends or family at home,office,traveling. It is a perfect travel adapter. 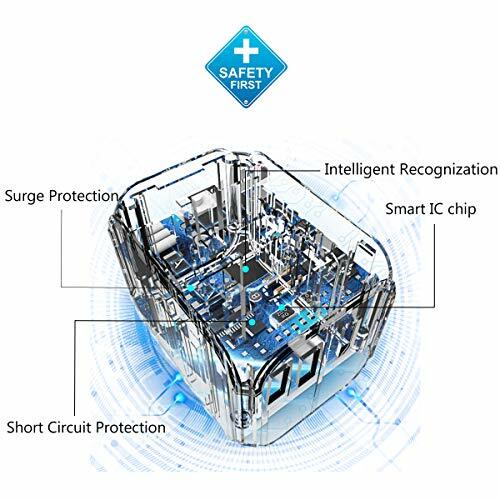 ✈ [Built-in Smart IC Chip]: Ougrand Travel Power Adapter built in Smart IC Chip, intelligently recognizes your devices, adjusting the right current output automatically, boosts its charging speed, allow simultaneous charging your devices at high speed. But it CAN NOT convert voltage, DO NOT use it with high power appliances. 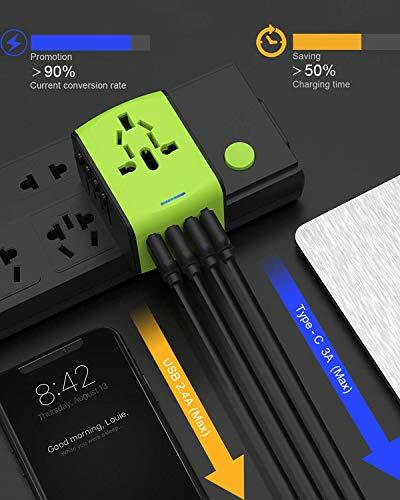 ✈ [FAST 2.4A CHARGING PORT AND POWER RATING] – Universal travel adapter built-in 6A ceramic fuse and Surge Protections. Avoid over-current and overload high-temperature, short-circuit damage appliances. Power adapter Inupt: 110V – 250V input voltage Max.Power Rating: 660W Max. at 110V,1440W Max. at 250V.